Would you go to a hospital that didn’t practice evidence-based medicine? The answer is probably “No way”. Would you go to a school that didn’t practice evidence-based education? The answer is probably “Of course not!”. Unfortunately, in the case of schools, you probably don’t have a choice. Reviewing the websites of even the top high schools and colleges, public and private, in this country, not one mentions their commitment to evidence-based education. Currently schools rely primarily on prestige to define their curricula and teaching methods. The evidence is bewilderingly common place. The goal of high school math is the study of calculous, a prestigious discipline which is used by a few physicists and engineers but no one else, rather than statistics, the humble workhorse of science, marketing, politics, finance, as well as health and biology. Graduate students up to tenured professors are told to “publish or perish” since the sheer number of published papers adds prestige to their career. Auditorium style lectures by “leading researchers” are valued more highly than small classrooms led by someone specialized in teaching (not research). And, despite the interesting evidence to the contrary, everyone wants to get into IV League and elite colleges for their prestige, even if outcomes from those colleges are for many people worse than other universities. What if we did not use prestige as our measuring stick of quality for education, but instead used science? This practice is called “Evidence-Based Education” or EBE. Fifty years ago, the quality of medicine was also determined almost completely by prestige. But from then on things slowly began to change and by the 1990’s the phrase “Evidence-Based Medicine” emerged. Doctors and hospital administrators began to use scientific evidence to make care decisions. I know what you are thinking this very instant. THE 1990's!!?? SERIOUSLY? Evidence-Based Medicine or EBM, is actually quite a recent phenomenon. How, one might think, could anyone be against EBM? Well, it was mainly a problem of perception. Enemies of EBM thought that proponents of EBM were trying to replace doctors with a set of spreadsheets and algorithms, that decisions would be taken out of the hands of doctors and put into the hands of automatic and unyielding systems. These enemies of EBM knew that there was more to being a doctor that just biostatistics. And they are right. 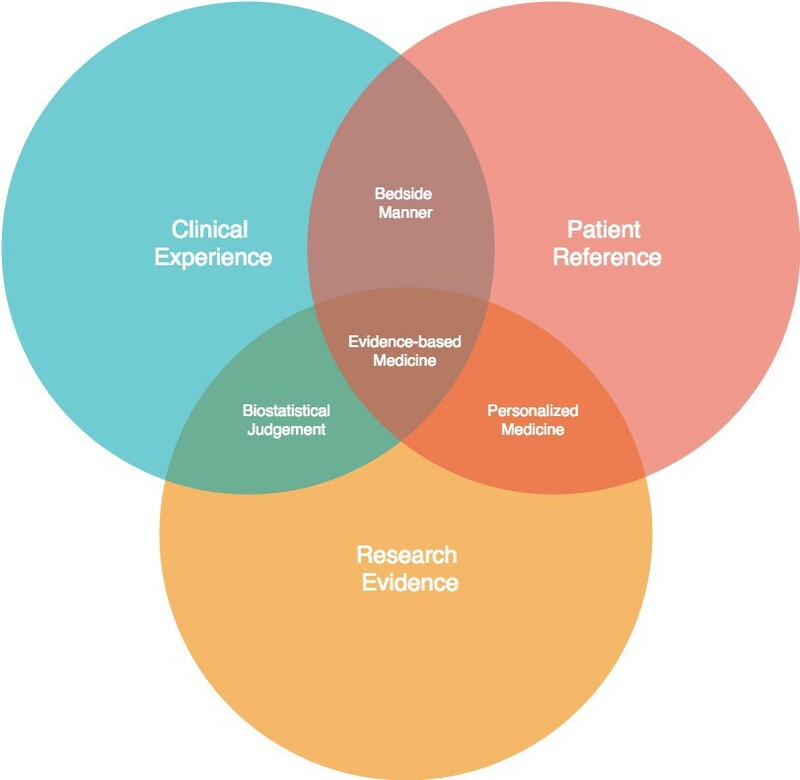 To quell the worries of those against EBM, the leading doctor and proponent of EBM made the following graphic showing how research evidence works together with the Clinical Experience of a doctor and a personal reference to the patient’s experience. Like EBM, enemies of Evidence-Based Education have a similar worry that EBE means teachers can be eliminated from the classroom or their expert judgements will be refuted by impersonal statistical inferences that could harm children and learners. So, to assuage those fears, I made a corresponding graphic for Evidence-Based Education. 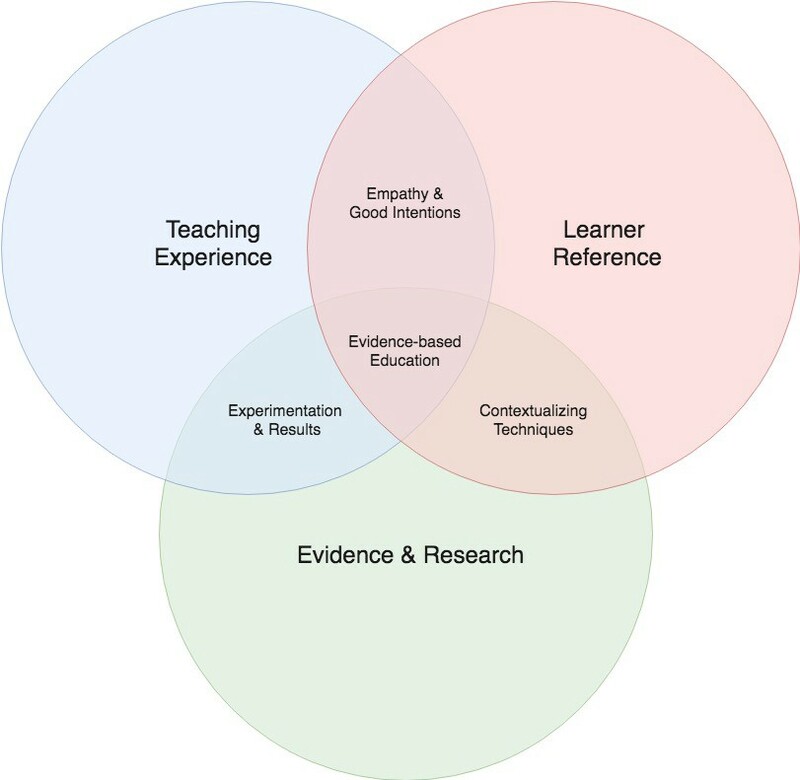 In it you can see that in EBE, Evidence and research inform the Teaching Experience and Learner Reference, not trample them. If you think more educators, schools, and universities should be held to the same standards as doctors, clinics, and hospitals, please share this article and this idea with the networks and people you care about. Feel free to reach out to me via linkedin or twitter @ajbraus.